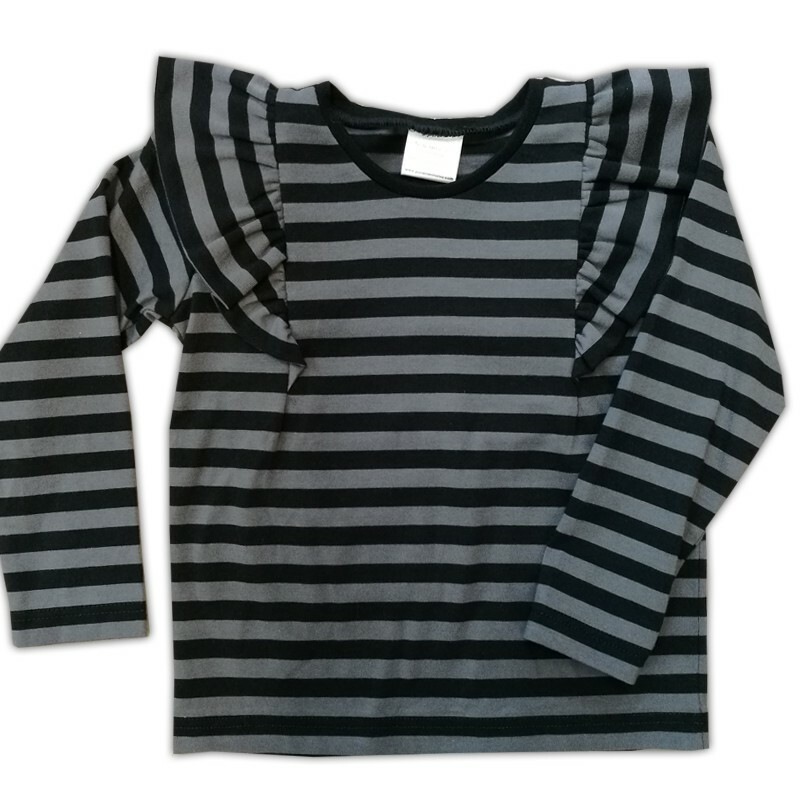 Lovely frilled shirt with black and grey stripes. This shirt is a perfect match with the Mister Pike leggins! Made from comfortable organic cotton. No bleaching, no tumble drying. Dry flat, reshape while wet.